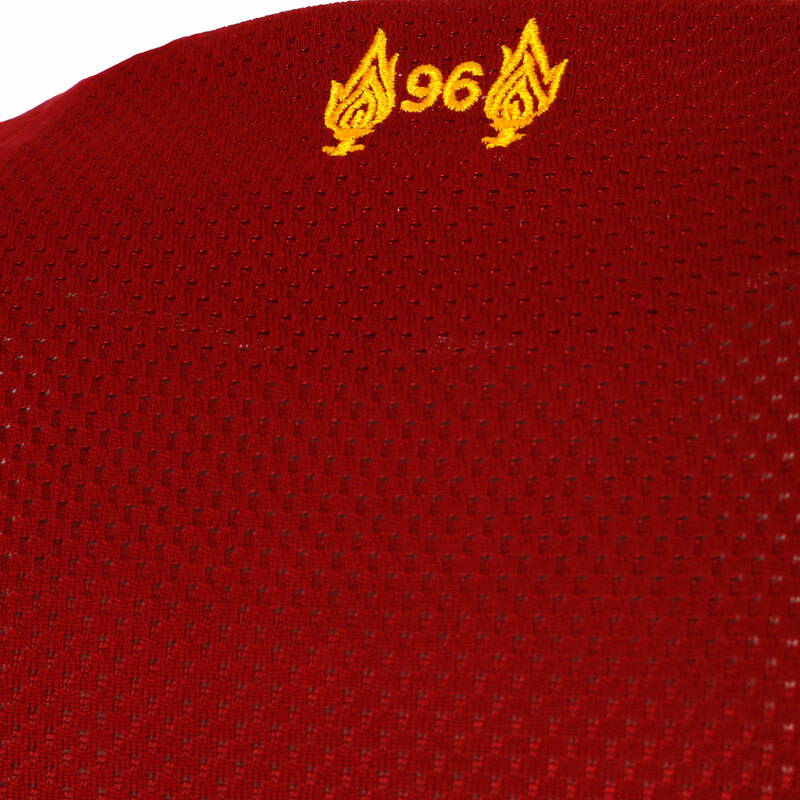 Liverpool's Champions League semi-final fixture dates against FC Barcelona have been confirmed. 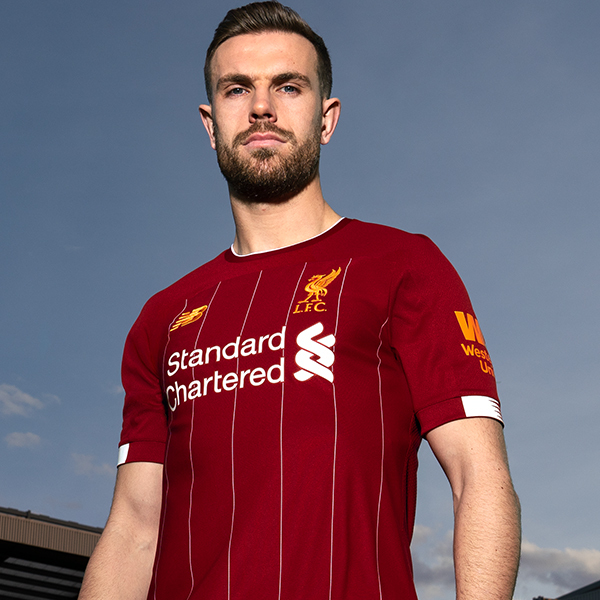 Pre-order the new 2019-20 Liverpool FC home kit now and you'll receive a £10 LFC Retail voucher to use in stores or online during June. 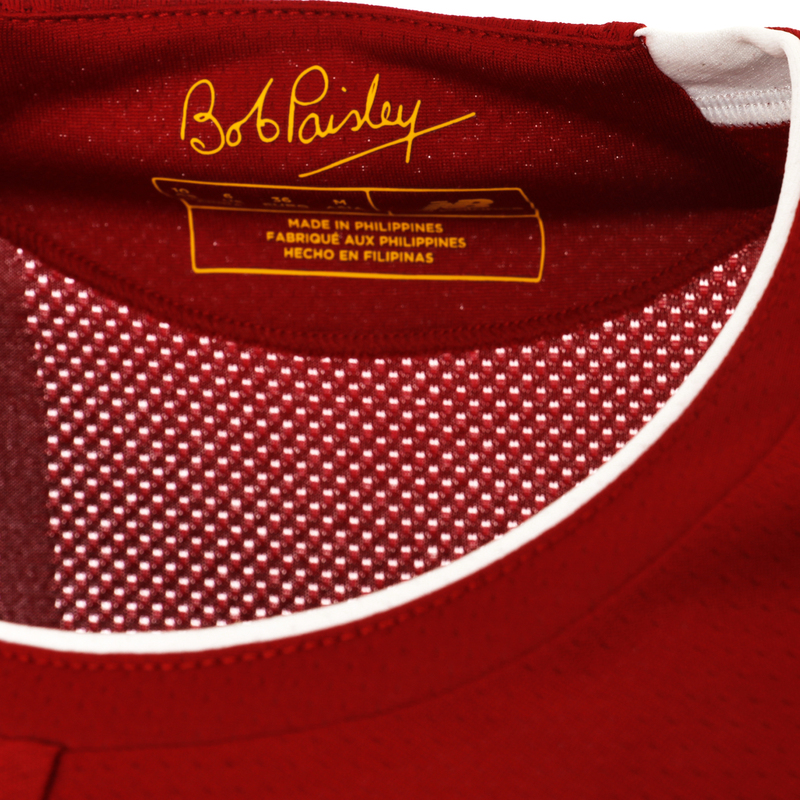 The Reds strip for next season is dedicated to legendary former manager Bob Paisley and features white pinstripes on the front of the shirt inspired by the 1982-83 campaign. 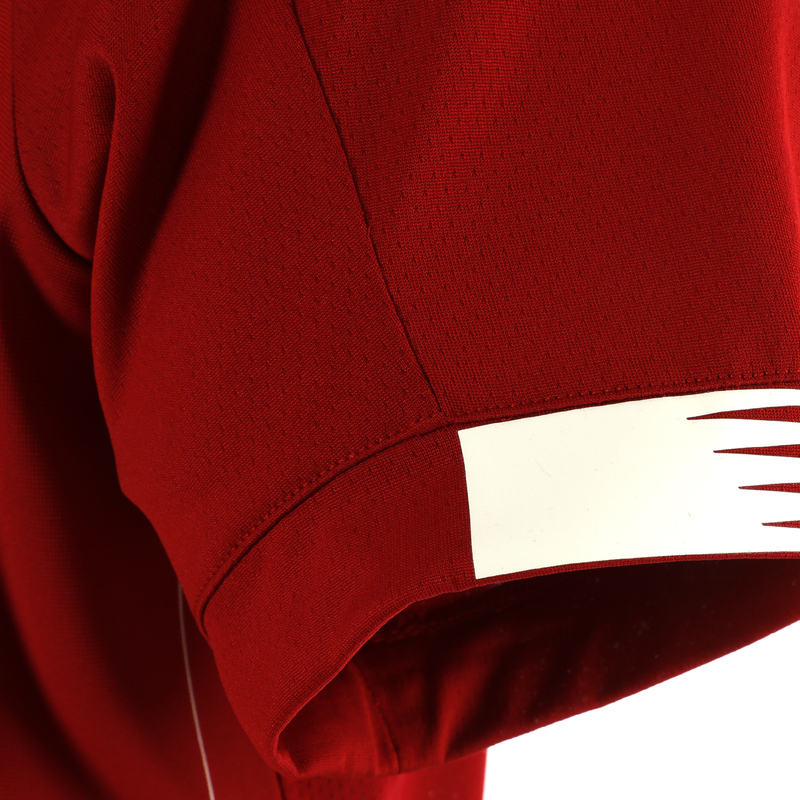 Pre-orders can be made right now for guaranteed delivery on launch day, Thursday May 9, and there are extra benefits to buying your kit directly from the club. 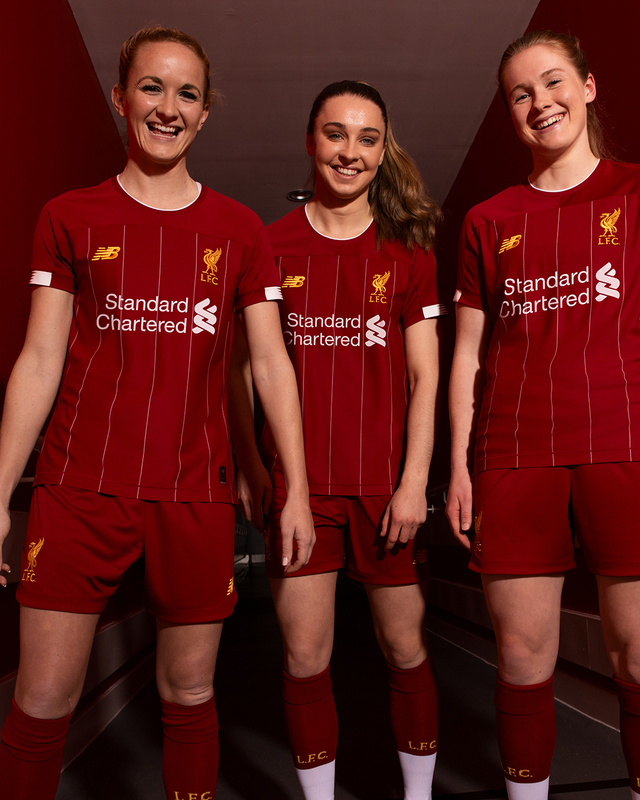 As well as an exclusive certificate of authenticity, every purchase of an adult or junior shirt, baby or mini kit will include a £10 LFC Retail voucher to spend between June 1 and 30. Members and season ticket holders can also claim a 10 per cent discount. 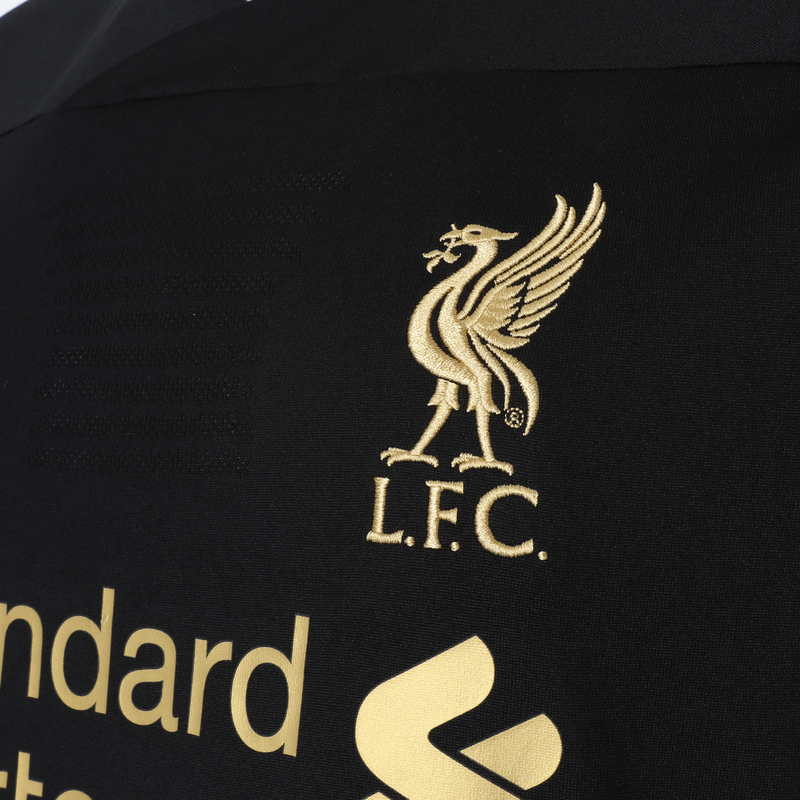 Plus, why not add unique LFC name and numbering style to your 2019-20 shirt? 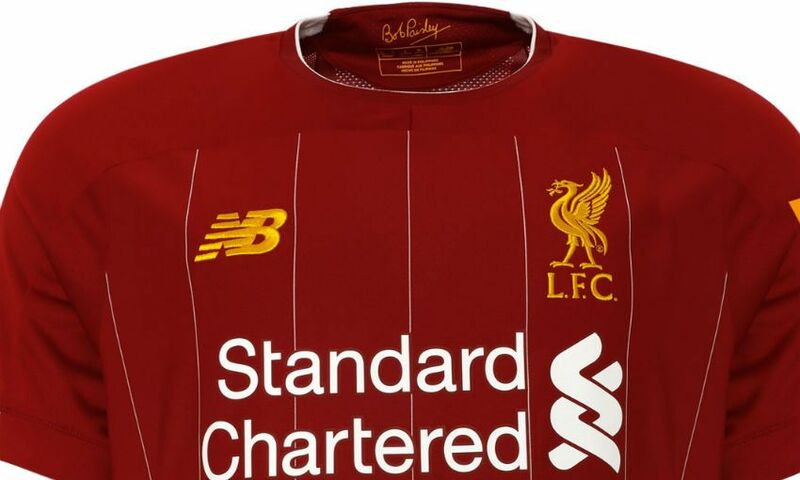 The fonts – which are designed to embody iconic characteristics of Anfield and the surrounding area – come in white on the outfield jersey and gold on the goalkeeper version. 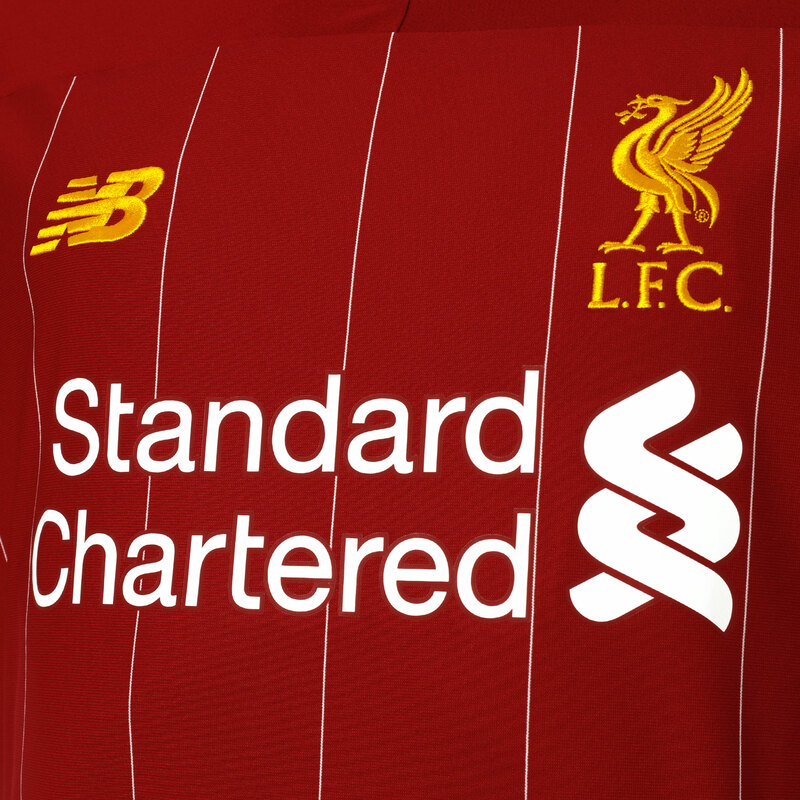 Take a closer look at the newly-revealed 2019-20 Liverpool FC home kit with our detailed shots of the team's redesigned strip for next season. 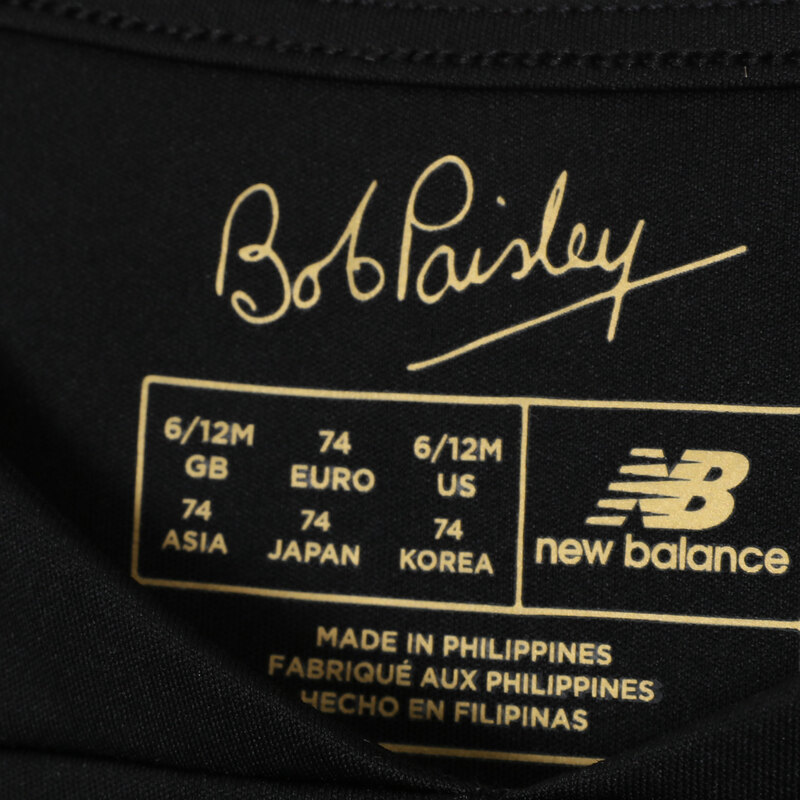 The New Balance kit is dedicated to the legendary Bob Paisley and features white pinstripes on the front of the shirt inspired by his final, title-winning campaign of 1982-83. 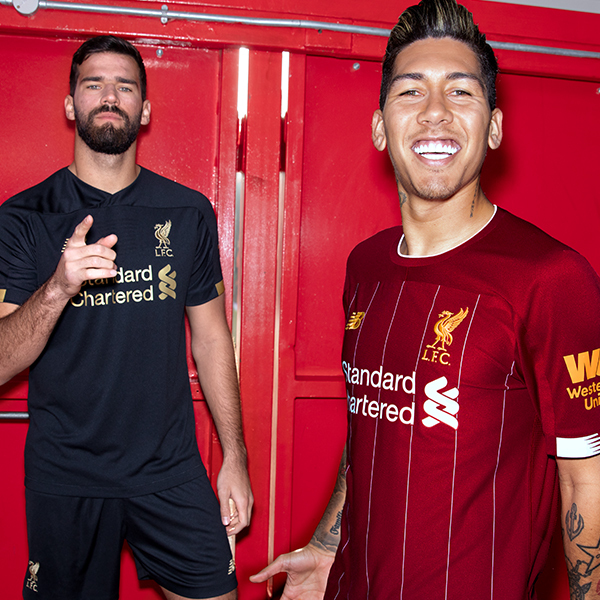 Take a first look at the Liverpool players wearing their new 2019-20 home kit with our gallery of images from their pre-launch modelling shoot. 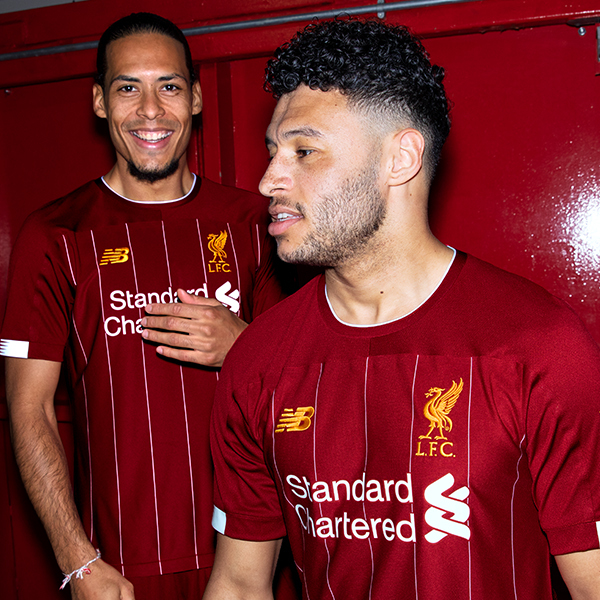 The New Balance strip for next season was officially revealed today but several Reds stars recently enjoyed the opportunity to try it on for style. 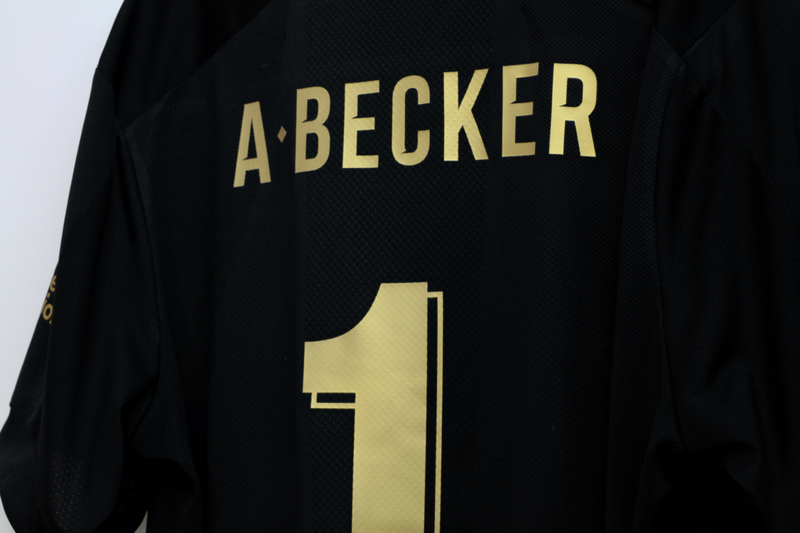 Alisson Becker will wear the No.1 shirt for Liverpool for the 2019-20 season. 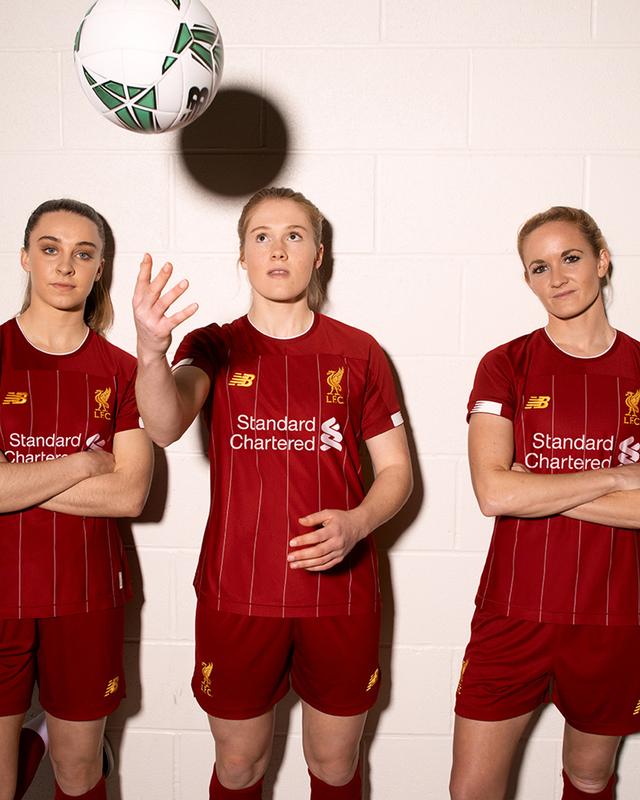 Liverpool FC's 2019-20 New Balance home kit has been officially revealed – and you can pre-order the new strip right now for guaranteed delivery on Thursday May 9. Watch highlights, reaction and more from Liverpool's 4-1 win in their Champions League quarter-final second leg against FC Porto at Estadio do Dragao. 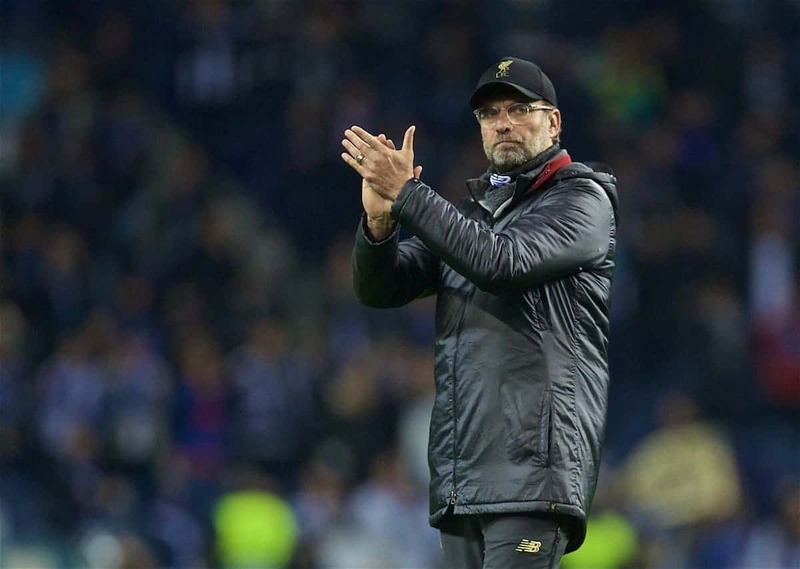 Jurgen Klopp was in an upbeat mood after Liverpool knocked Porto out of the Champions League again, but noted that huge challenges lie ahead. A 4-1 win in Portugal sent the Reds through to the semi-finals, 6-1 on aggregate, but the boss felt the result flattered his team. While Liverpool were superior, there were spells in both games where Porto had chances on goal—but the excellent season continues, domestically and in Europe. Barcelona now stand between the Reds and a second successive Champions League final, but Klopp pointed to the progress already made. “We are the second time in the semis, that is really something,” he told reporters at the Estadio do Dragao. “I don’t think it’s a result that reflects the two games. Porto made our life very difficult tonight. “It was really nice to be part of a game like this when the crowd are right behind their team—a proper football atmosphere. Klopp also spoke of the challenges that now lie ahead, in both competitions. The Champions League is, of course, a huge trophy and there might be an element of unfinished business there for the squad after last season—but before that, a totally different task awaits. A weekend Premier League game against Cardiff City must take precedence in the Reds’ thoughts and plans, said the boss, even though there is so much to look forward to in continental terms. 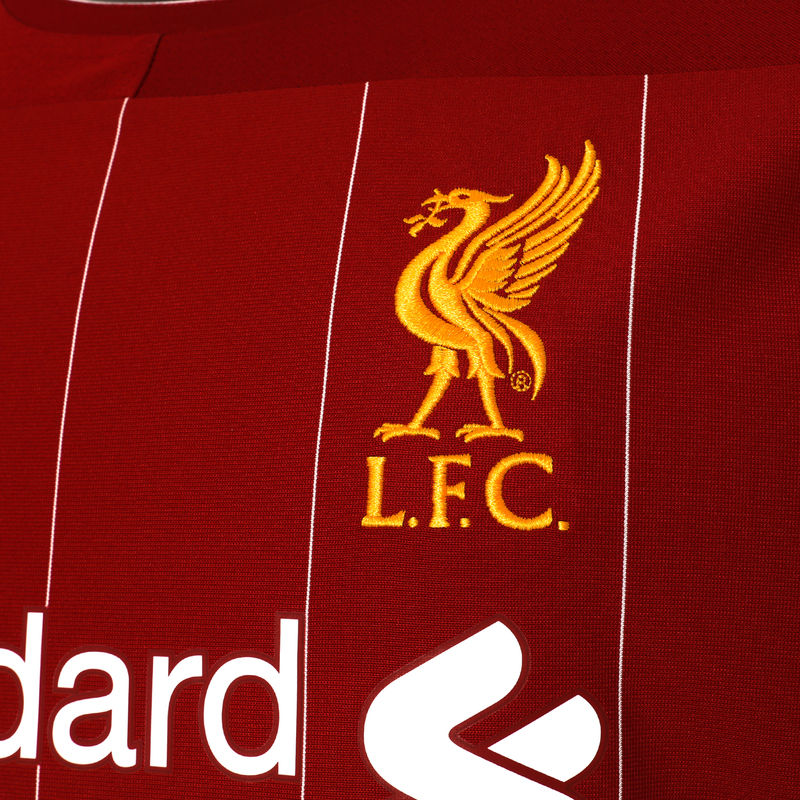 “It’s really good news that there is a semi-final between Liverpool and Barcelona. I’m really proud of the boys,” he added. 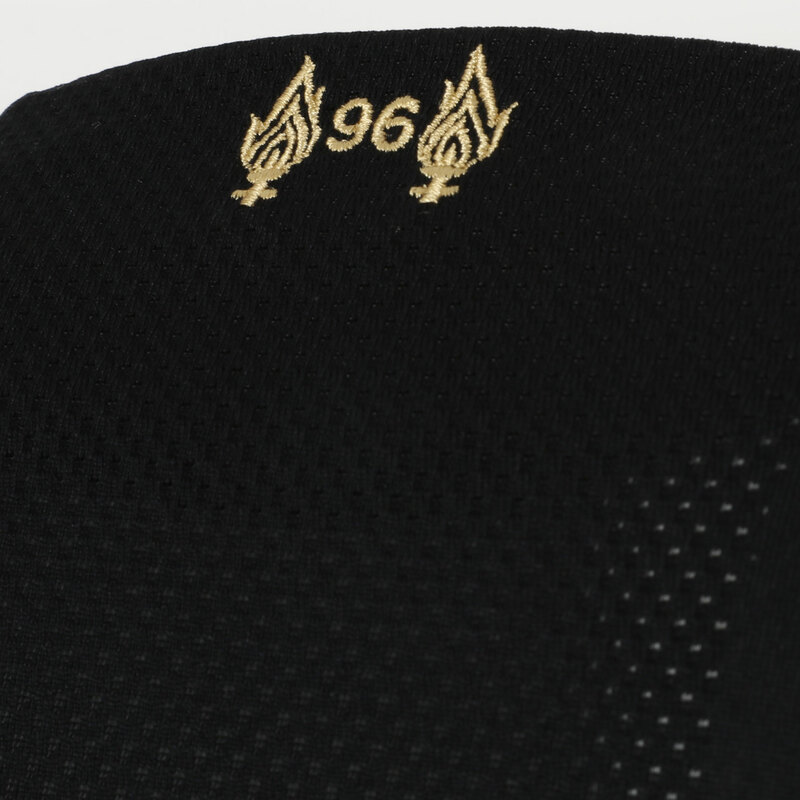 “I saw Ajax [beat Juventus]…if I were wearing my hat I would [take it off to them], unbelievable. There will be four really strong teams in the semis. “Thank god I don’t have to think about [stopping Lionel Messi] tonight! Everybody tried it and nobody can do it! “We will find things where we think we could use it. But on the other side, I don’t care tonight, we are in the semi-final. “But we play Cardiff on Sunday and that will be in my mind, not Barcelona. I’m looking forward to it, but not tonight. The Reds have just four games left in the Premier League and will hope, while also winning their own games, that Spurs can repeat their Wednesday night trick of leaving Man City deflated and without silverware in their own hands. Jürgen Klopp considers Liverpool reaching the semi-finals of the Champions League for the second year running to be another ‘big statement’ from the club. 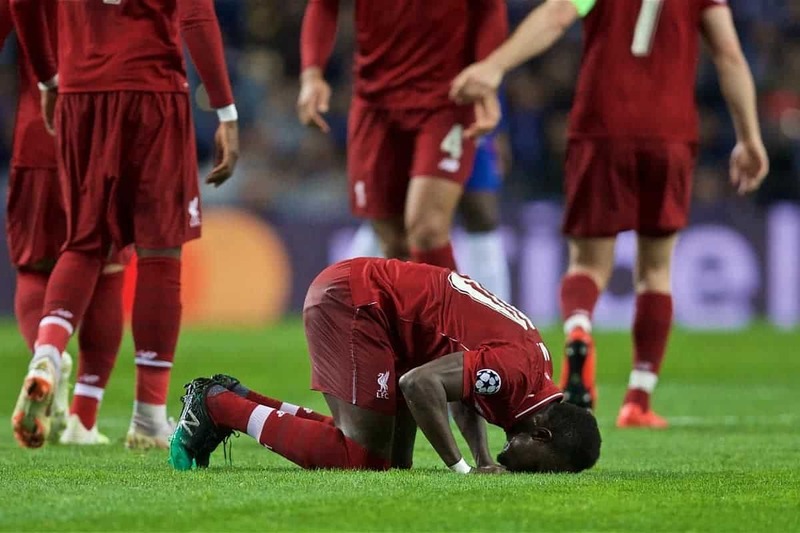 The Reds set up a meeting with FC Barcelona in the last four of Europe’s premier club competition after a 6-1 aggregate victory over FC Porto in the quarter-finals. Holding a two-goal advantage from last week’s first leg at Anfield, Klopp’s side ran out 4-1 winners in the return fixture at the Estadio do Dragao on Wednesday evening courtesy of goals from Sadio Mane, Mohamed Salah, Roberto Firmino and Virgil van Dijk. I am very, very happy, as you can imagine. I said before it would be very difficult, probably you all thought that’s what I had to say, but I knew it so how can I be surprised now it was difficult? A few things in football you cannot defend in the first place, the long balls they play in behind, the physicality. There were a lot of really physical challenges where as a defender you have to be a bit more careful because if you make a foul then it’s a free-kick, what they wanted, or even worse, maybe a penalty. Then we had not the best reaction on the second balls, so they had too many of them - especially in the centre. We tried to change the system a couple of times and finally we changed at half-time, 4-4-1-1, and it helped because then we closed the centre better, we could keep them on one side and they couldn’t switch the sides like they did before with a lot of direction in the game. We had to defend in the first half an hour a lot in the last third. That’s OK, it’s no problem, it’s the work you have to do in a football game. The boys did that and a big difference to the past is that it doesn’t cost us confidence, if we have to do it then we do it. If we are under pressure, no problem, we have to defend there and then after that we know we will get chances. We had them, we scored a goal, had a big chance before half-time. Second half, it was clear Porto would come out again with high intensity, but they then cannot keep the level until the end, so moments for us would come again. We used them and so we won the game and now are in the semi-final - unbelievable, really, what a competition and we are second time in a row in the semis. That’s really something crazy, unbelievable. There was a lot of drama on the pitch, but maybe not the drama. In the last third of the season, we see the finish line already and you need to have a little bit of luck with injuries and stuff like that, it’s very important. Now, [we play on] Sunday, we have three days to recover, but we fly tomorrow and stuff like that and then make ourselves ready for another very, very intense football game. Cardiff are completely back in the race with the result from yesterday, so they will fight for it. I don’t think it will be less intense than tonight, so that’s the next job to do. I don’t think it’s a result that reflects the two games. In the first game, we were the clear better side - 2-0 is OK, but we dominated the game, we played a really good football game - and that made life really difficult for Porto. Tonight, it was the other way around, they made our life very difficult, they were really direct. It is really nice to be part of a game like this when the crowd is like this and behind the team, even as the away team and obviously they didn’t like us too much, it was a very good football atmosphere, they used it. It was so powerful the game of Porto and so difficult to deal with, but we scored the goals and that’s how a result like this can happen. Porto needed an early goal tonight, they didn’t score it and then, as I said, the intensity level drops a little bit and we are still there, it’s not that we forgot how to play football. We have our strengths even in a difficult game, so I am completely happy. Nobody is interested in the 6-1 or whatever, I didn’t think about it and will not think about it - it is only important you go through and we went through. Last year [was] not a 5-0, honestly. I said that before and I don’t say it only to be gentle or nice or whatever. We played a good game, it was not a 5-0, but we still took the result. This year it is not a 6-1, but anyway we want to go through, we are through, and I think that’s deserved as well. We are in the semi-final, we play against Barcelona, you can imagine I don’t think too much about it. But I’m really happy about the fact that we play them. We will find things where we think we probably could use it or whatever, but on the other hand side, I don’t care, I don’t mind tonight. Tonight we are in the semi-final and we play on Sunday against Cardiff - that’s in my mind and will be in my mind 100 per cent when I wake up tomorrow and not how we play against Barcelona. We have enough time for that and we can watch so many teams who tried it already and maybe we find something. I’m looking forward to it, but not tonight. It’s brilliant. The news that there’s a competition, a proper football game between Barcelona and Liverpool, I think that’s really good news. I’m happy for all the people in the club that it’s like this; second time in the second year in the semi-final. That’s a big statement. However you go there, it’s difficult. Everybody tries it and nobody did it in the last two years. I am really proud of the boys, it’s brilliant what they did. We did it in different ways, it makes it even more special. I’m really happy. The group stage last year was already different. I don’t know what kind of results we had, crazy results in the group stages and that, of course, carries you a little bit through the whole competition. This year it was much more difficult, a lot of difficult away games, but last year we had a very difficult away game at Manchester City if you remember, a very difficult away game at Rome and we still did it somehow. I know people like to be disrespectful for kind of a team like Porto and you think, ‘Oh, Liverpool got Porto’... We knew how difficult it is. We won 2-0 at home and that was deserved. And here today, anything could have happened. We dealt really well with it, so I’m really happy with that. In the quarter-finals of the Champions League there are only unbelievably strong teams - in the semi-finals as well, by the way. I didn’t see anything of the Tottenham-City game obviously, so I cannot say anything about that. But what I saw now twice from Ajax Amsterdam... if I would wear my hat still, I would have to [tip it]. It’s unbelievable how they play. On a football way, I have to say [the] biggest compliment for how they went through, beating Madrid and Juve in the way they did it - it’s unbelievable. Four really strong teams in the semis and it stays interesting. Thank God I don’t have to think about that tonight and thank God I have a few more nights to think about it! I think everybody tried it so far and nobody can really do it. We still will try it. But we are looking forward to it, but we have so many jobs to do before we meet Barcelona. So let’s first play these games and then let’s prepare for Barcelona. Then we will see. I have never played Barcelona in a proper game, so [it’s] my first time there and I’m looking forward to it. 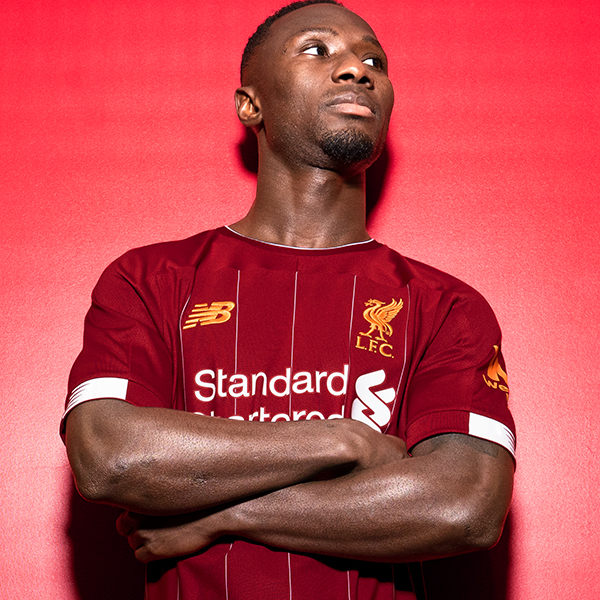 Bobby had absolutely no fitness issues and that he doesn’t get any, that’s why we started with Divock. Then because we defended as a unit in the first line not too good, we had to change it at half-time. It’s no problem, it was nothing about Divock. Div in training, he’s in unbelievable shape and shows that all the time. How the game developed was not the most thankful game for a striker, but that’s how it is. He has no issues. 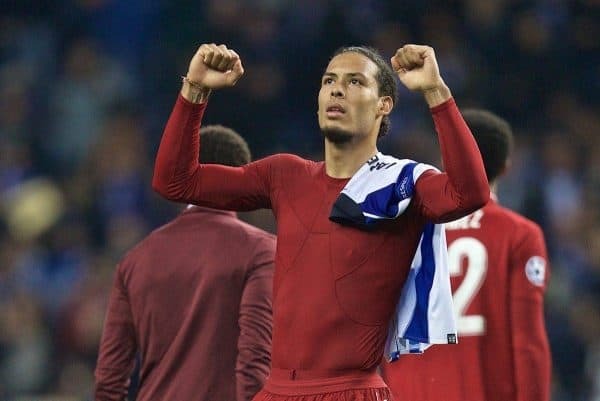 Liverpool had to weather an early storm, but eventually strolled through to the Champions League semi-finals after beating Porto 4-1 at the Dragao. Did any celebrate at home when Mane stabbed it over the line? The players on the pitch didn’t, the fans didn’t seem to in the stadium—so quickly was the flag up. But guess what: he wasn’t offside! VAR took a minute or two to decide and it still didn’t seem as though there was much expectation of a goal being given…no doubt due in part to the fact viewers weren’t even shown replays while waiting. 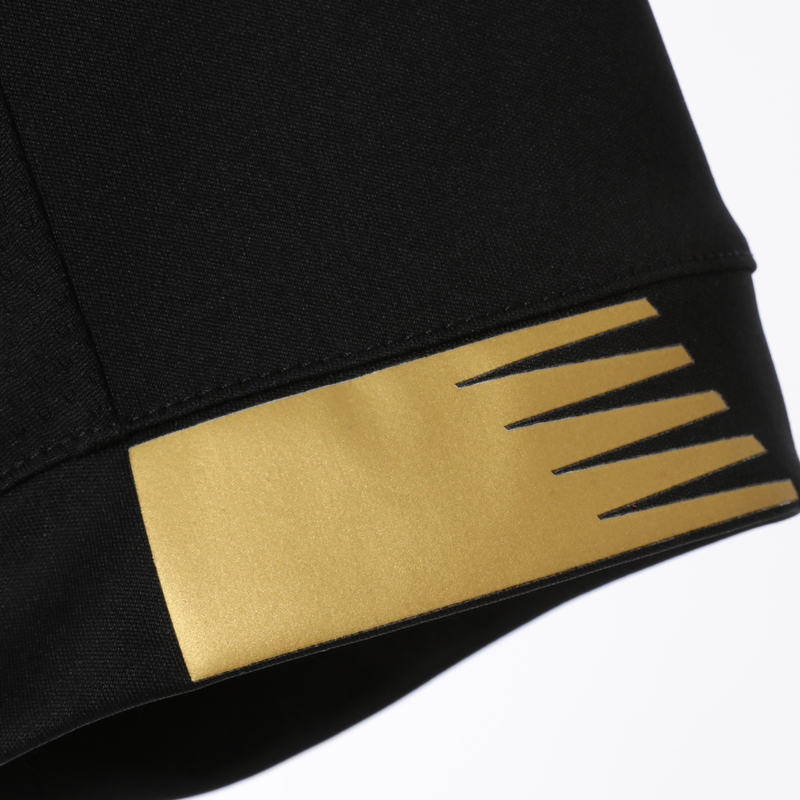 Everyone loves a good hundred seconds staring at a ref pressing his ear, right? Confusion aside, the Porto fans didn’t appreciate it effectively ending their run in the Champions League; ironically, given their late passage through past Roma thanks to the same ruling giving them a late penalty. It was, of course, the right decision in the end. 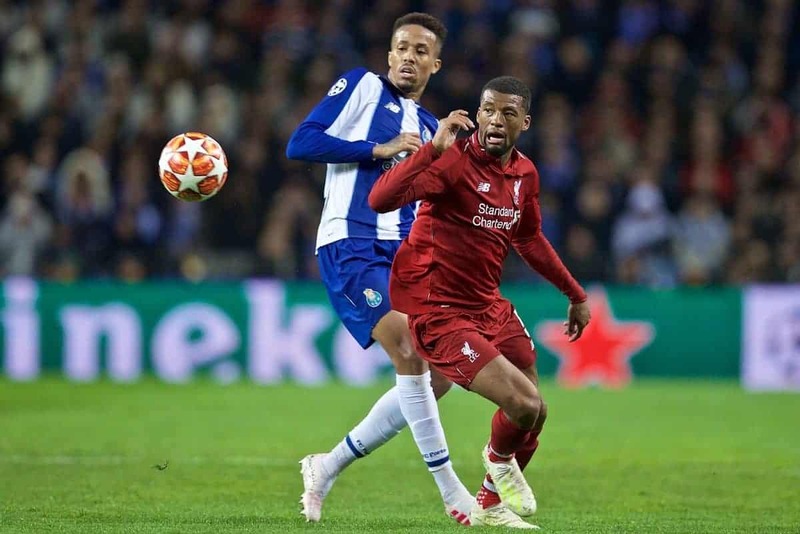 Liverpool had needed to hold at bay a fearsome Porto start to the match before that goal, so the strike completely changed the flow and the threat of the night. His goal might not have been celebrated as exuberantly as usual, but it was yet another strike for the No. 10 in an exceptional season. It means he has scored in every round of the Champions League for the past two seasons, a quite incredible feat, and he has scored away from home in both knock-out rounds in this year’s competition. 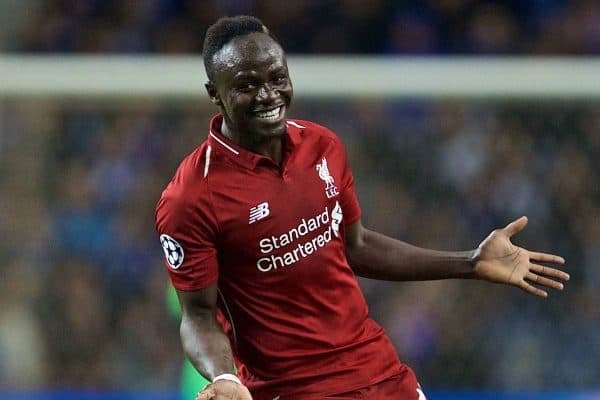 More recently, in eight of the last 10 games the Reds have taken the lead in, Mane has been the one who scored the opening goal—highlighting not just his quality but his reliability and ability to harness the big moments which matter. 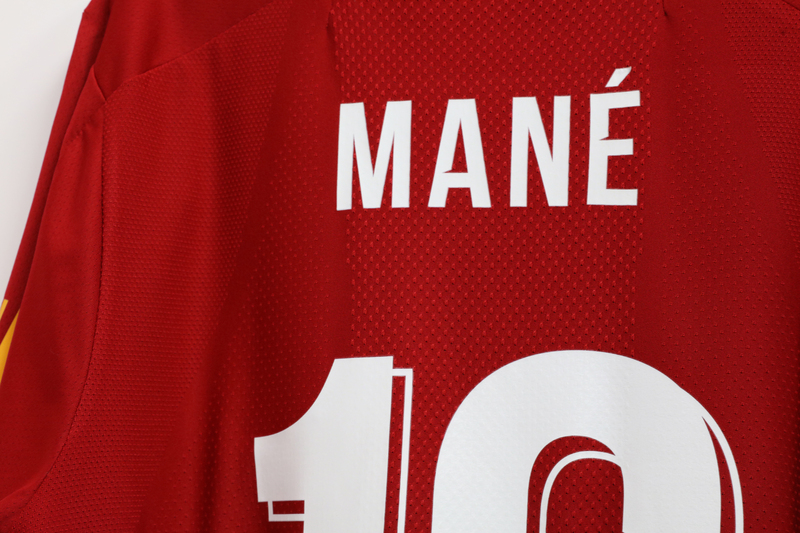 Mane is now also the joint-highest scorer of all time for Liverpool in the Champions League/European Cup; his 14 strikes is level with Ian Rush and behind only Steven Gerrard. Two of Liverpool’s three changes came in the centre of the park, as weekend substitutes Gini Wijnaldum and James Milner came back into the 11. Bringing the fresh legs into the centre was no doubt the right idea in theory, but they were completely overrun instead—or perhaps bypassed is the better description. Porto went direct, over the top or in behind, leaving the Reds’ trio simply running backward and forward without getting anywhere: no real pressure on the ball, no chance to string passes together, not stopping the Porto attack. Wijnaldum and Milner were largely missing in action for the entire first half, with tactics and the way the game developed not allowing them to get a foothold. Given the recent form of Naby Keita and Jordan Henderson—who was again excellent when he came on—it’s fair to say neither No. 5 nor No. 7 staked a big claim to regain a first-choice spot in the team. Klopp made a change at the break: Roberto Firmino for Divock Origi. It looks like-for-like, though was anything but. It altered the shape of the team, the tempo of build-up play, the quality of link play and the final-third threat; while highlighting the gulf in class between the two players, it was also the tactical nous of the boss which swung the 90 minutes back in the Reds’ favour. A midfield quartet was employed, alternately in a diamond and in a narrow, flatter four, and it stopped the Porto movement through the lines. Not only that, but Firmino, playing as a second striker, was able to set Salah free ahead of him a number of times, link with the greater numbers in midfield and get himself into the box. The Brazilian’s influence was immense and his late goal fully deserved. Two other points: it showed a tactical flexibility from the Reds’ midfield not too often seen, perhaps one which should be employed more often. And secondly, that there is still a big upgrade needed in attack. This won’t be headline news for Liverpool fans who have been watching for the past two years, but this is a great team. This Liverpool team can beat Barcelona. And if they do, it’s Ajax or Tottenham, not Juventus or Man City, who will make the final. Two huge ties lie ahead, against the team with the greatest player on the planet in their ranks—as well as Anfield returns for Philippe Coutinho and Luis Suarez. But first, the other chase remains on: we’ve done the hard work, beating Southampton, Tottenham, Chelsea. Now the focus has to be on equally impressive, telling and determined performances against much smaller teams, initially with relegation facing them in Cardiff. This Liverpool team are capable of winning both types of games, both types of trophies. Now go do it. 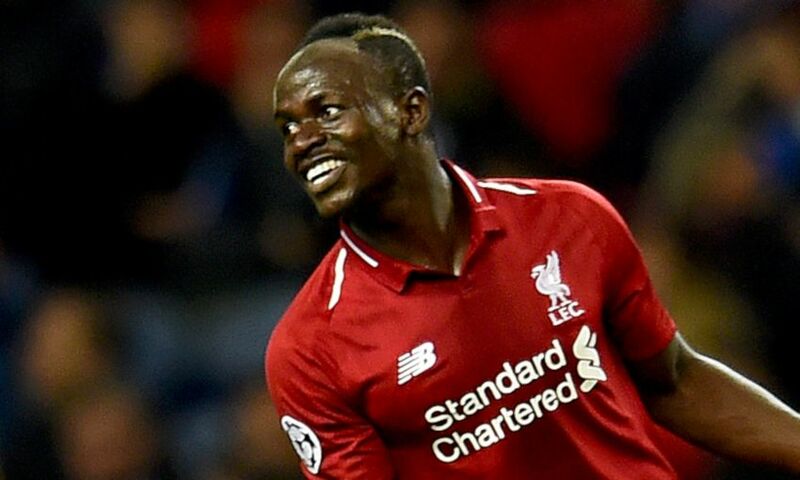 Sadio Mane was delighted his instinct was wrong as his opening goal set Liverpool on course for a 4-1 win at FC Porto and a place in the Champions League semi-finals. 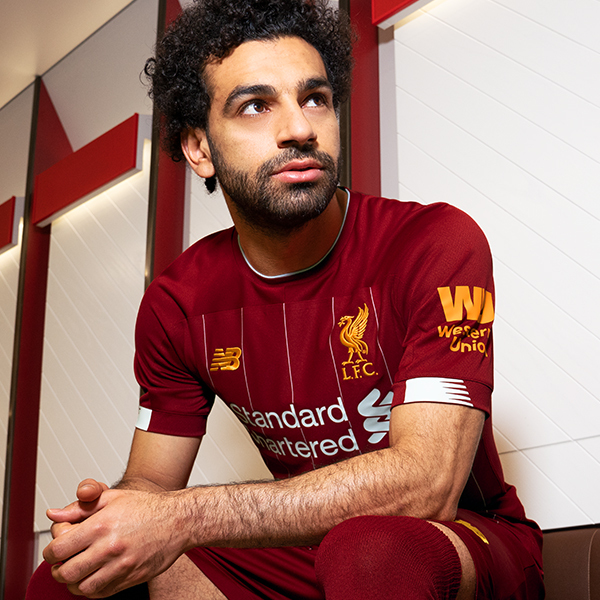 The Reds No.10 initially appeared to be offside when he converted Mohamed Salah’s knock across the box midway through the first half – but a Video Assistant Referee review correctly confirmed he had been onside. 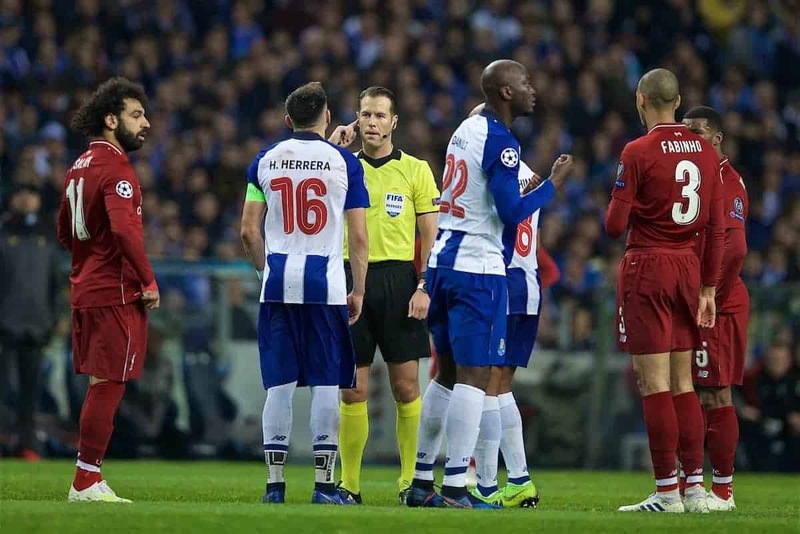 Mane’s breakthrough halted a dangerous passage of play by the hosts at Estadio do Dragao and led to an ultimately emphatic victory for Jürgen Klopp’s men in the last-eight second leg. 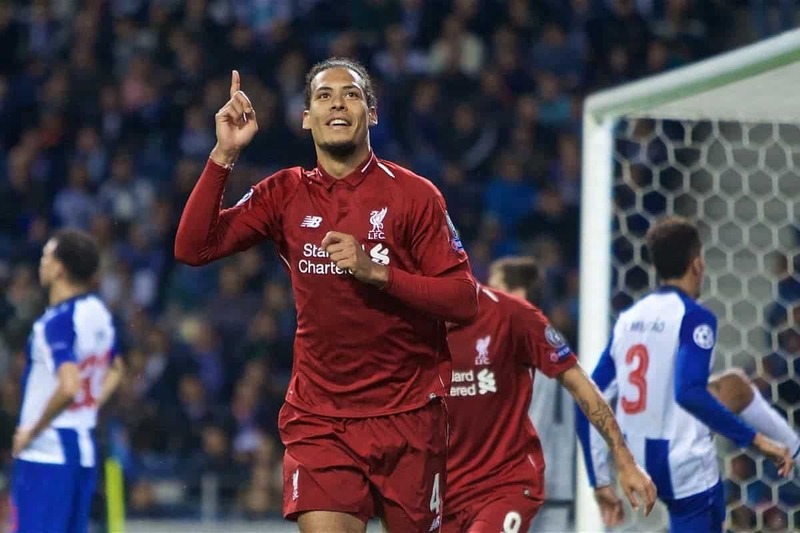 Salah, Roberto Firmino and Virgil van Dijk also found the net after the interval to seal a 6-1 aggregate result, with Eder Militao providing a consolation for Porto. “I was thinking it was offside, to be honest,” Mane told BT Sport when asked for his take on the 26th-minute opener. “I told the boys to keep going and they said, ‘No, wait.’ I was surprised. It was an important goal but the more important thing was to qualify for the semis and we did it – it’s great. 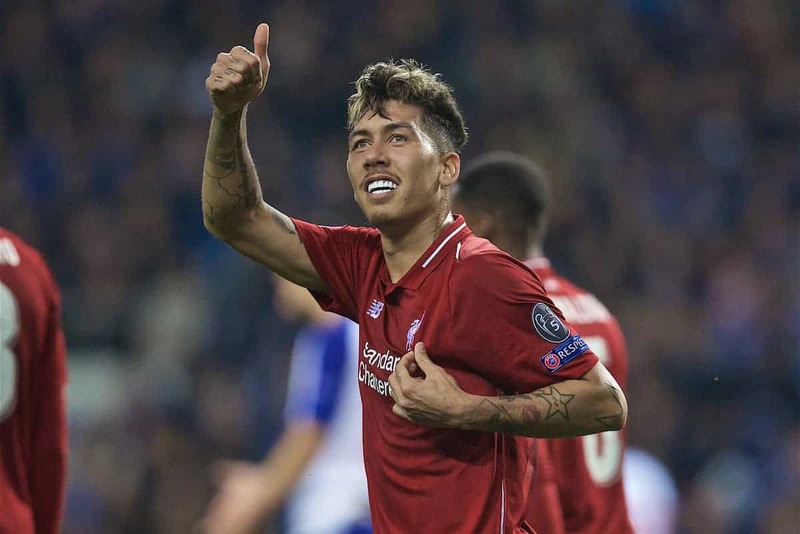 Liverpool eventually cruised to a 4-1 win away to Porto on Wednesday night, booking their place in the Champions League semi-finals. * Video above from BT Sport; geographic restrictions may apply. 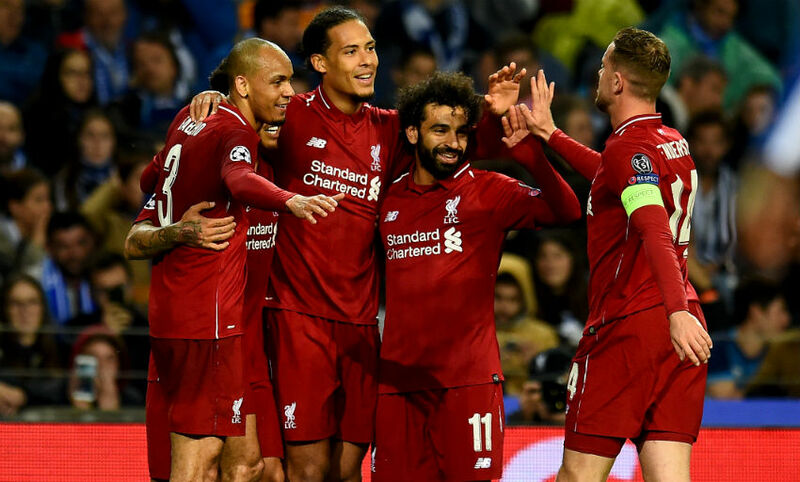 The Reds eased to a 2-0 victory in the quarter-final first leg at Anfield last week, putting them in pole position to qualify as they headed to Portugal. Jurgen Klopp‘s side were actually below par in the opening 20 minutes, as Porto dominated and threatened to reduce the arrears. 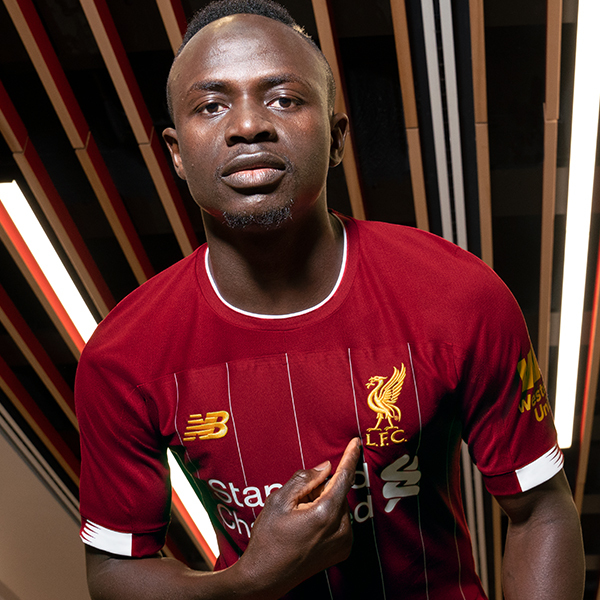 Their early threat quickly disappeared, however, and Sadio Mane finished from close range to make it 1-0, following a successful VAR check. The tie was effectively wrapped up at that point and Liverpool were able to coast through the rest of proceedings, improving all the time. Mohamed Salah tucked home his 23rd goal of the season, following a lovely through-ball by Trent Alexander-Arnold, before Eder Militao pulled a goal back. Substitute pair Jordan Henderson and Roberto Firmino combined to make it 3-1, with the latter heading home, before Virgil van Dijk put the icing on the cake late on. It was serene progress into the semis, where Barcelona now await for a truly mouthwatering clash. Also significant was Man City‘s exit at the hands of Tottenham, following an incredible game that saw Pep Guardiola’s side win 4-3 but go out on away goals. It means Liverpool have an even better chance of securing a sixth European Cup, despite the obvious threat that others still pose. To win 4-1 away from home in a Champions League quarter-final, and for it all to feel rather straightforward, says a lot about how special this Reds side is.